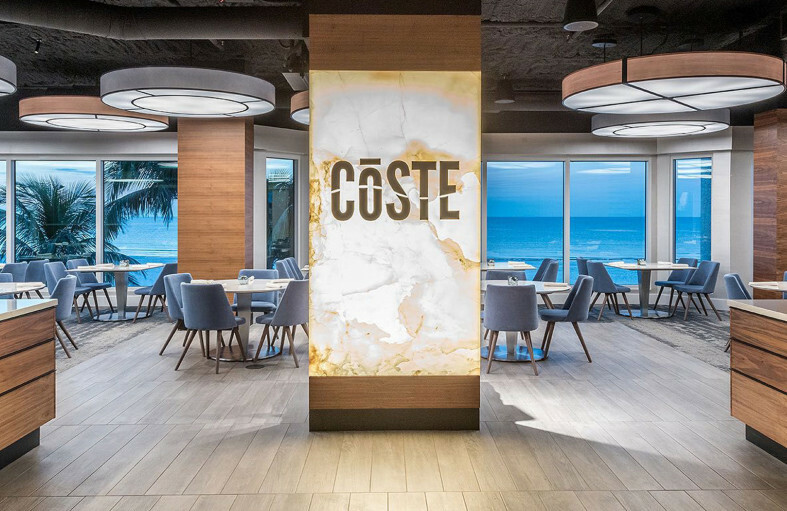 Coste is quickly becoming one of our beloved favorite restaurants on Fort Myers Beach. This chic casual restaurant opened in November, taking over “Chloe’s former space at DiamondHead Beach Resort. Grab a pre-dinner beverage at the full-service bar before heading into the amazing dining room overlooking the sandy shores of the Gulf of Mexico. The entire space has been completely renovated with hints of contemporary Scandinavian furnishings and fresh design elements that are new to Fort Myers Beach. Beautiful dishes are presented throughout the enhanced bistro-style menu with fresh seafood, prime cuts of meat, decadent desserts or casual sandwiches. This restaurant has price points appropriate for all budgets!